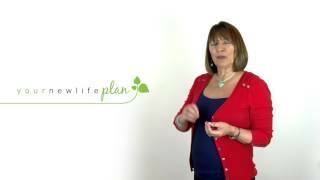 Omega 3 flax oil or fish oil for menopause hormones? Hot Flushes! One of the most common symptoms of menopause with around 80% of women experiencing them to some degree. How I wish I was one of the hot-flush-free 20% when I hit menopause due to a full hysterectomy age 39! They contribute towards insomnia, distract from and disrupt work and life in general, causing both discomfort and embarrassment. They’re simply no fun! It’s thought that declining oestrogen levels cause the body to increase internal body heat, but no-one is really sure that this is the only reason. I’ll mention other possible contributory factors a little later. When body temperature rises, the hypothalamus gland in the brain, another of the hormone regulating glands which has control of body temperature, triggers a counter response to cool the body down. Blood vessels dilate to allow more blood flow and sweat is released from the body. If this happens when you’re asleep they are referred to as night sweats. I certainly found these to be the most uncomfortable; sleeping on towels to absorb the sweat, tossing and turning the pillows to find a cool spot, leaving the windows open much to the confusion of my husband when there were howling winds or evidence of winter outside! How long will menopause hot flushes last? It’s a question I’m asked so often, and I’m afraid I can’t answer as everyone is so unique. I have a friend who had just the one, yet I have patients who have struggled with them for 7 years or more. It really doesn’t seem fair somehow. How can you prevent menopause hot flushes? While there is little you can do to stop them occurring, there are certainly some triggers that when addressed can ensure they are less frequent and severe, certainly more bearable. Some ladies I work with have lost them altogether. Before you employ any of the over-the-counter remedies, which may or may not work for you, or work for a little while but not long enough, please be aware of your own personal triggers. When you identify and address these, other remedies will be more effective for much longer. So many possibilities! So many computations for triggers as it may be simply one on the above list, or a combination. I suggest that you keep a Hot Flush diary for 7 days, note when you experience flushes and determine your own personal triggers, avoid them for another 7 days and see your symptoms improve. Try and stay cooler at night with a chill pillow. Use fans when possible, a hand held one can be useful. A LadyCare magnet may help you. Available on-line and at major chemists. There are now ranges of stay cool sleepwear on the market. For example ‘Become’. Wear layers of lighter clothing so you can take them off and put on as needs be. Practice slow abdominal breathing when you feel a hot flush rising. Regularly practicing this for 10 minutes in the morning and at night can also be beneficial, getting you through the night and day. Exercise daily. Research at John Moores University in Liverpool found that exercise helped reduce hot flushes. It doesn’t need to be aerobic. Swimming, walking briskly, dancing can all help. Avoid an excess of red meat. This is challenging to the body to digest and eaten within 4 hours of sleep can contribute towards those night sweats. Ensure you drink plenty of water. At least 2 litres/day. Include Omega 3 fats in your diet and via supplements. They are commonly found in oily fish, nuts, seeds, avocados. Include phytoestrogens in your diet. Herbal supplements of Block Cohosh and Sage work for some. Maca Root powder or capsules work for many. Ensure it’s organic and sourced in Peru. (If unsure about supplementation always ask a qualified health care professional). As you can tell there is no one single solution that will work for all. It really is a case of determining your own personal triggers, doing what you can to help yourself with lifestyle and supplements, and see those hot flushes reduce or possibly disappear altogether. Clare prefers the natural approach, and qualifying in nutritional therapy gave her the confidence to come off HRT, take back control of her life and health, and look forward to living the best half of her life free of prescription drugs. Understanding the importance of creating harmony of health of both body and mind through menopause and beyond, she’s now on a mission to inspire, educate and empower other women, too. Click HERE to find out more about how Clare shares her years of exploring, experience and knowledge through 1:1 consultations and online programmes, and where you can request a FREE 30 minute consultation with Clare to discuss any personal menopause symptoms/health concerns you may have.